West Plains Chamber of Commerce is proud to be supported and staffed by our local business leaders. Bob and his wife Rebecca have resided in Thayer, MO since 1984 where they raised 4 children. In 2008, Bob and Rebecca purchased Radio Stations AM 1290 The Gift and K-Kountry 95, then 5 years later added KHOM 100.9 The Train and 107.1 K-LOVE. This four station group operates under E-Communications, LLC with offices on Highway 63, Thayer and #10 Court Sq. in West Plains. Bob has served on both the Arkansas and Missouri Broadcasters Associations board of directors as President in 1997-98 and earned the Distinguished Broadcasters Award for the state of Missouri in 2003. He serves on a variety of boards and just completed a two-term stay on the Missouri State University-West Plains Development board and served as president in 2012. Bob is past board member and president of the Thayer-Mammoth Spring Rotary Club, Community Betterment and Thayer Chamber. Bob is proud to serve again on the West Plains Chamber board for a second year, and looks forward to the challenges ahead. He considers it a great honor to serve the West Plains region. 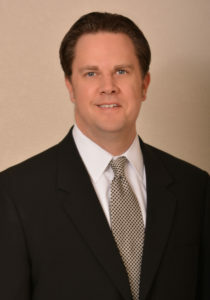 Jeff Welch is a partner with the CPA firm Welch, Couch & Company and manages the firm’s West Plains office. He has practiced in public accounting since 2000 starting with a large regional CPA firm in Little Rock, Arkansas. 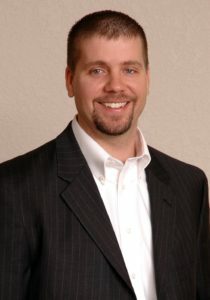 Jeff is licensed as a Certified Public Accountant and Attorney in both Missouri and Arkansas. Jeff is a native of Salem, Arkansas and has lived in West Plains since 2012 when his firm opened their West Plains office. Jeff received his Bachelor of Business Administration degree from the University of Central Arkansas in Conway, Arkansas and his Juris Doctor degree from the William H. Bowen School of Law at the University of Arkansas – Little Rock in Little Rock, Arkansas. He and his wife Kacy have three daughters: Libby, Anna, and Bree. David has been an Agent with Shelter Insurance Companies in West Plains since 2014. He started as an Agent Manager in Columbia, MO, a District Sales Manager in Kansas City, MO, a State Sales Manager in Lincoln, NE, a Manager of Marketing Operations and a Regional Sales Manager for Oklahoma, Missouri and Illinois. He has earned the Chartered Life Underwriter and Life Underwriter Training Council Fellow designations through the American College. David graduated from Westminster College, in Fulton, MO with a bachelor’s degree in business administration. 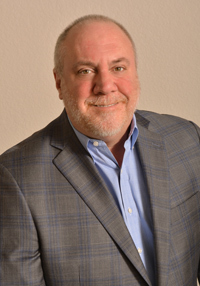 He serves on the University of Missouri Marketing Advisory Board, as Chairman of the Board for the West Plains Civic Center, and Vice Chairman of the Board for the Chamber of Commerce. He and his wife, Amy, a 1989 West Plains graduate and a 1993 Mizzou graduate, reside here with their two children and enjoy travel, golf, and kids activities. 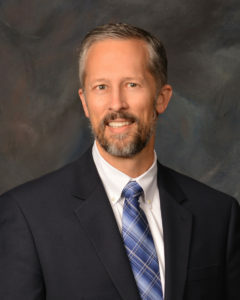 Scott Schneider currently serves as the Director of Business and Support Services for Missouri State University-West Plains. Before coming to the University, he served ten years in varying capacities at West Plains Bank and Trust Company. A native of Missouri, he holds a Master’s of Business Administration from Missouri State University and a Bachelor’s of Science from Missouri University of Science and Technology (Rolla). His wife, Heather, is the music director at Richards R-5 School in West Plains. Their daughters, Heidi who attends high school at West Plains and Hannah, who attends school at Richards. 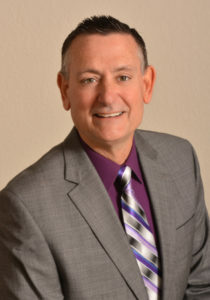 He has served on several boards including past President of The Rotary Club of West Plains, past Assistant Governor for Rotary District 6080, past Howell Valley School Board member and secretary, and currently serves on the board for Ozark Independent Living. 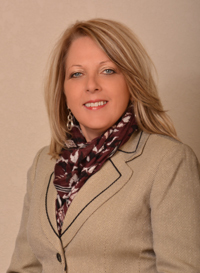 Angie Menz has worked in the banking industry for over 28 years and currently holds the title of Community Bank President at Wood & Huston Bank in West Plains. A native of the Bootheel of Missouri, Angie has been a member of this community since 1990. She holds a Bachelor of Science Degree from Southeast Missouri State University in Cape Girardeau, and attended the Graduate School of Banking in Madison, WI. Angie has two children, Chad, who currently resides and works in West Plains, and Haley, who is currently attending Rhodes College in Memphis. She has served on numerous boards including past President of West Plains Optimist Club, member of Fairview School Board, and is currently a board member of the West Plains Zizzer Athletic Booster Club. Having worked in the nursing filed as a Licensed Practical Nurse for 23 years, Judy has owned and managed her business, West Plains Occupational & Insurance Physicals for 20 years until her retirement in 2017. Being a business owner has been a wonderful, rewarding experience and our community has been very supportive of her. She previously served as President of the Chamber Ambassadors and currently serves on the Board of Trustees for Ozarks Medical Center. Her husband Andy retired from the US Army as a Major in 2013. Their daughters-Andrea Ingalsbe lives in Little Rock and is a certified Energy Auditor and Abby Corman, married to Clint Corman currently lives in Rolla while Clint is attending S & T.
Ron Grennan has been a resident of West Plains for nearly 40 years. His career at Grennan Communications began in 1985. He is married to Kim Grennan, who owns the United Country Real Estate office in West Plains. They have 2 children. Their son Riley graduated from Missouri S & T in Rolla, and is now employed with AT&T in Dallas, Texas. Their daughter Sydni is a student and an athlete at West Plains High School. Ron has been heavily involved with the West Plains Kiwanis for almost 20 years serving 3 terms as President. He has also chaired the Howell County 911 Advisory Board, and has served as President of the West Plains Country Club. Ron has served multiple terms on the West Plains Chamber of Commerce Board, and is a past Chairman. Joann Strosnider has worked for Heart of the Ozarks Medical Equipment for 28 years in different capacities and currently serves as president of the company. She also works as the Project Director for Ozarks Medical Center Cancer Treatment Center. She also serves as the Executive Director for Riverways Home Care of Ozarks Medical Center. Joann’s husband Dave is a contracted employee as an A&P avionics mechanic for Air Evac Lifeteam. She has two children and four grandchildren. Son Eric Judd, is Vice President and Chief Lending Officer at West Plains Bank and daughter Amy Petrus is an administrator at Fairview Elementary. 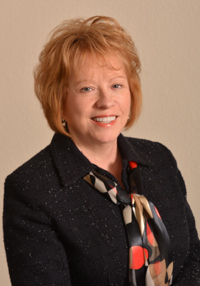 Strosnider has served as a board member of the West Plains Rotary as well as serving on the boards of several business and community organizations throughout her career. Michael Curtis is the Senior Vice President, general legal counsel, and Operations Manager for Stewart-Morrison Redi-Mix, Inc. The company is headquartered in West Plains and operates several concrete and sand and gravel plants in the area surrounding Howell County. A native of Wichita Falls, Texas, Michael has lived in West Plains since January of 2004. He holds a J.D. from Southern Methodist University, an LL.M from the University of Houston, and has been a practicing attorney since 1991. He and his wife Susannah have three boys: Quinn, Elias, and Shane. David Harris has lived in West Plains for 9 years, but has lived in the area all his life. He is the Operations Manager of Rental Supply in West Plains. David serves on the West Plains Elementary Parent Advisory Committee and enjoys serving on the West Plains Chamber Board. David and his wife Mia have been married for 15 Years. Together they have two very active daughters, Madilyn who attends West Plains Middle School and Malia who attends West Plains Elementary School. David enjoys hunting, fishing, spending time with his family and watching his daughters participate in a variety of sports and school activities. Andi Hilburn-Vaini is the Owner-Operator of McDonald’s Restaurants in West Plains, Mountain View, and Thayer, Missouri. She was born and raised in West Plains and graduated from West Plains High School. She has a Bachelor’s degree in Criminology and a MBA from Drury University in Springfield, Missouri. Andi is a second generation Owner/Operator and currently serves as Vice-President of the McDonald’s Ozark Co-Op and on the Regional Leadership Committee for Marketing. Her husband, Marc, also works with her in the business and in their free time they enjoy traveling and restoring vintage cars. 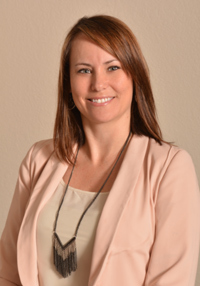 Andi looks forward to serving on the West Plains Chamber Board and serving our community. Tina Jones is the Broker/Co-Owner of Vantage Real Estate Group, LLC. She holds a Master’s Degree in Human Resource Development and a Bachelor of Science in Psychology. She is extremely active in the community; earning Volunteer of the Year in 2012 and currently serving on the Chamber of Commerce Board of Directors, South Central Child Advocacy Committee, Planning & Zoning Commission, and various other committees. She is past president for the West Plains Board of Realtors and Sunrise Rotary Club. When she’s not helping clients with their real estate needs or volunteering in the community, she enjoys spending time with her son Ryan and Fiancé Dywaine. Tom’s health care career spans 20 years including both urban hospitals and rural hospitals. He is a member of Noon Rotary of West Plains and a board member of the West Plains Chamber. Tom came to OMC 15 months ago from Shawnee, Oklahoma and served as Chair of the Shawnee Chamber of Commerce and Shawnee Police Foundation. Tom, his wife Patty, and their three children live in West Plains and are members of St. Mary’s Catholic Church. Their children Tommy, Ethan and Kennedi range in ages from 10-15 and are very involved with West Plains youth soccer, music, football and basketball. Judy moved from Poplar Bluff to West Plains in 2004. She has worked for the 37th Judicial Circuit Juvenile & Family Court for almost 15 years. She has chaired the Annual Foster Children Benefit, the Color Me for CASA 5k and several other non-profit programs designed for children in need within the 37th Circuit. Judy is also the Executive Director for the West Plains Downtown area. As part of the West Plains Downtown Revitalization, Inc., she and her husband, Nathan Ogden, are the co-founders for the Greater Ozarks Blues Bash Festival held annually in West Plains. Judy and Nathan share six children, Forrest; spouse Sabrina Ogden, Jada; spouse Zack Martin, Malorie, Jaci, Jakoby, Jathan and three grandchildren. They enjoy music, sports, art, traveling, and most of all being the Associate Pastors of their church, His Place. Judy’s other “hobbies” include grant writing, grant administration, event planning and fundraising as an independent contractor. Judy has been involved with several community organizations including serving as President of the West Plains Chamber Ambassadors, 37th Judicial Circuit Foster Children Benefit-Chair, Great Ozarks Blues Bash Logistics Committee-Chair, West Plains Downtown Revitalization Promotions Committee, West Plains Downtown Revitalization Planning-Chair, CASA Planning Committee, Non-profit Alliance Member, 37th Judicial Circuit Drug Court Coordinator, West Plains Optimist Club Board, Haunting of the Hallows Coordinator, and Fairview R-XI Athletic Booster Club Board Member. Lana is the Communications & Community Relations Director for the West Plains School District. She has two daughters, McKenzie and Isabelle. Lana loves knowing her kids will receive a great education right here in West Plains. She loves that West Plains has just about everything they need and it’s usually just a ten minute drive or less to get it. She loves the outdoors and the fact that she lives just a few miles from both the rivers and the lakes where she enjoys spending time with her family and friends. Lana enjoys working, but in her down time, enjoys traveling and seeing new places, reading, relaxing on the deck and spending time with her girls. 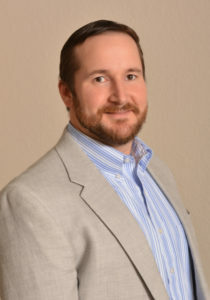 Ryan Cundall currently serves as the Director of Project Management for Leonardo DRS Land Systems, a local defense contractor that supplies military equipment to our Armed Services. A self-proclaimed native of southern Missouri, he holds a Bachelor’s degree in Manufacturing Engineering Technology from Southeast Missouri State University. His wife, Stephanie, is the administrative assistant at Glenwood R-8 School in West Plains where their two daughters, Teagan and Maggie attend. Their son, Austin, lives and works in Columbia Missouri. Ryan has previously served on the Chamber Board and continues to serve on the West Plains Park Board.